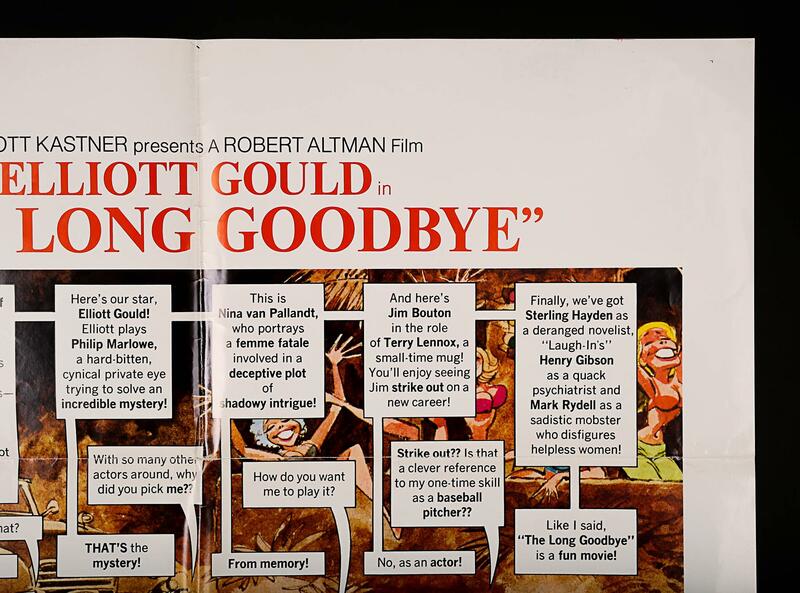 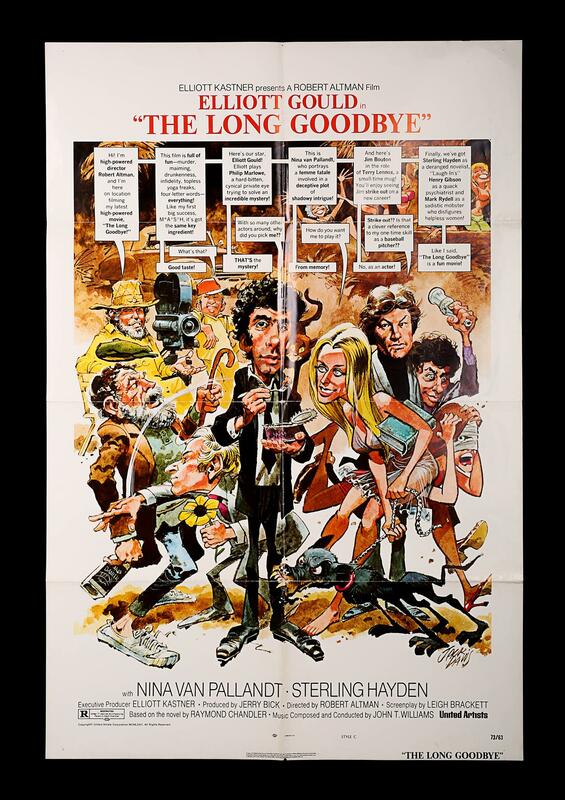 A US One-Sheet Style-C poster for the comedy "The Long Goodbye", the film starring Elliott Gould. 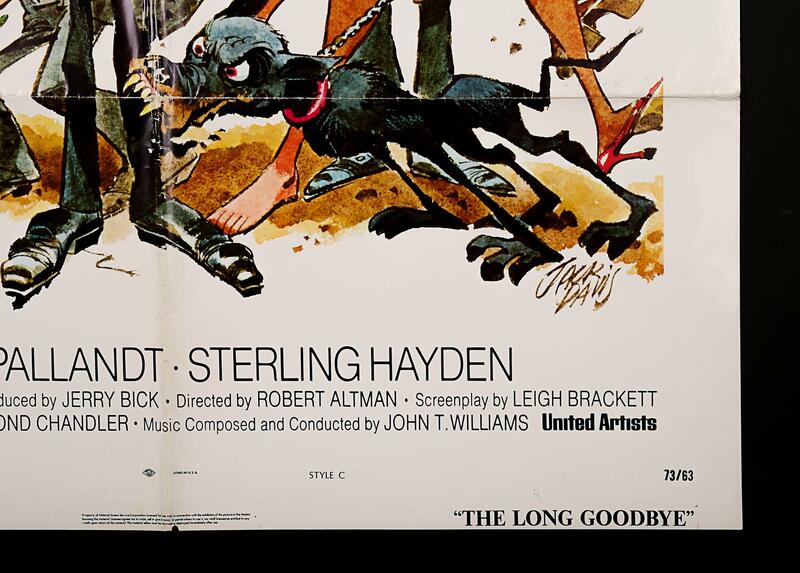 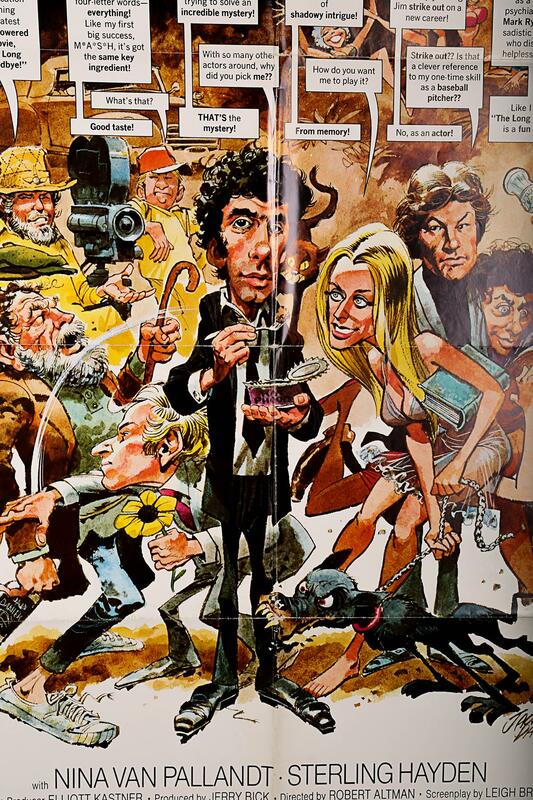 The poster boasts distinctive Jack Davis Artwork. 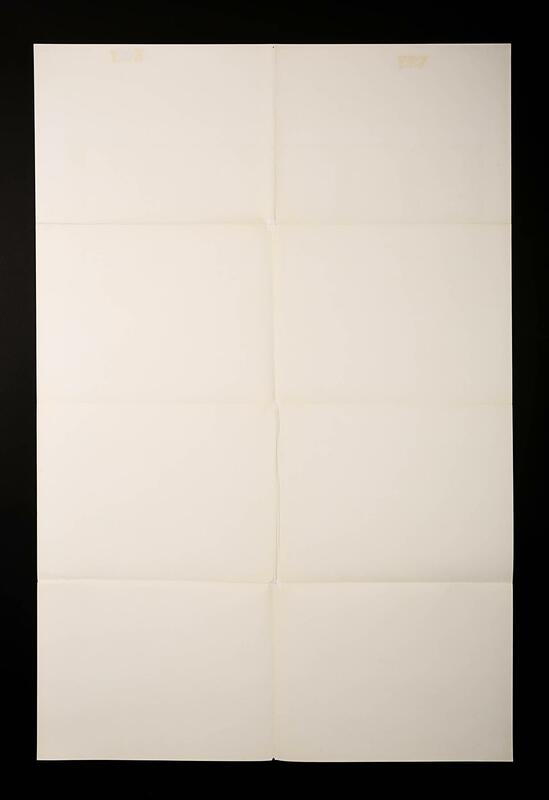 Unrestored and folded with light foldline wear, small conservation tape repairs to crossfolds, 2 tiny areas of pin-hole damage upper/lower mid rims, a few tiny surface marks and very slight surface paper loss to a small area upper right rim.